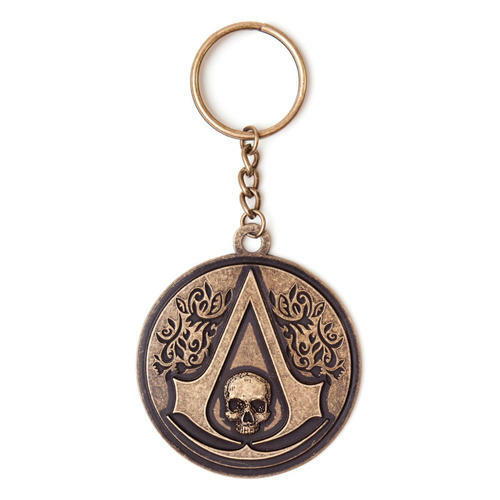 Metal keyring featuring the iconic logo from the latest video game with keyring attachment. Perfect for bags, keys, belts and other items. Made using high quality materials. Officially licensed. 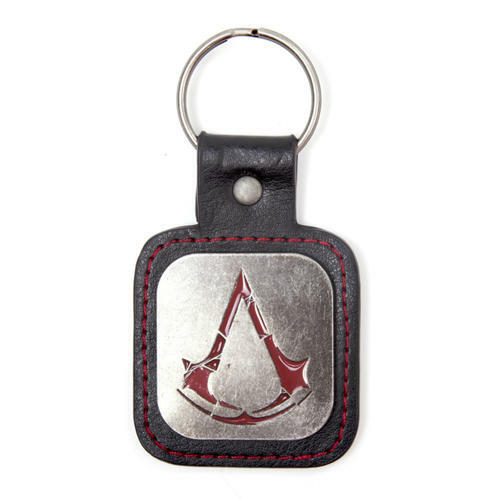 Metal keyring featuring an Assassins Creed Unity logo design. Perfect for attaching to bags, belts, keys and other items. Officially licensed. 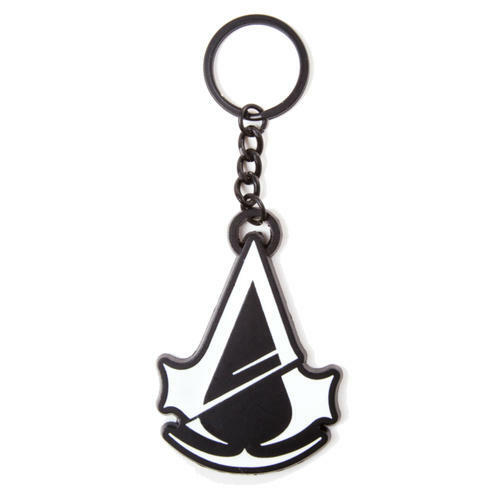 Assassin's Creed Black Flag Metal Keychain. Perfect for your keys, bag, belt or other items. 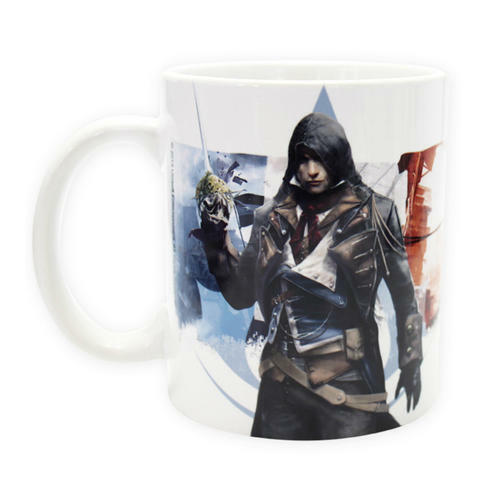 Collectable for fans of the series. Officially licensed. 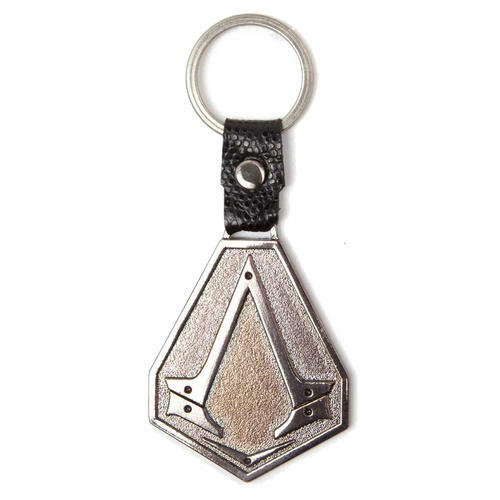 Metal keychain featuring an Assassins Creed Unity logo design. Perfect for attaching to bags, belts, keys and other items. Officially licensed. 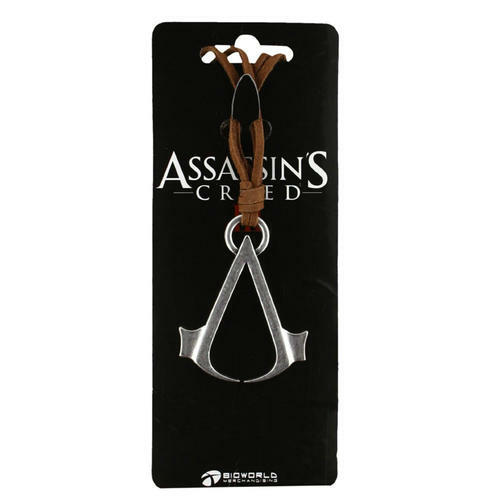 This metal keyring features the iconic Assassin's Creed logo on a metal plate with fabric attachment. Perfect for attaching to bags, keys, belts and other items. Officially licensed. Necklace featuring the iconic Assassin's Creed logo on a fashionable brown cord. One size fits all. Officially licensed. 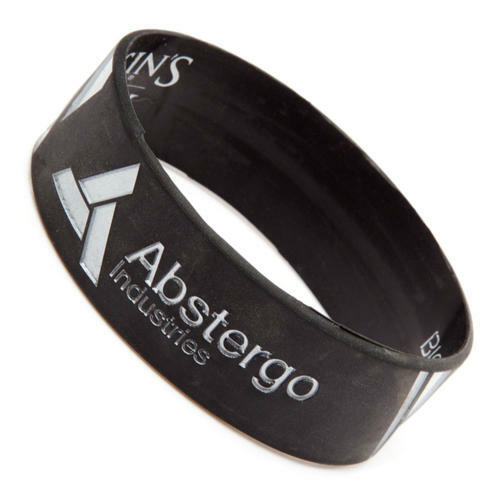 Soft, gummy rubber wristband featuring an 'Abstergo Industries' design from the Assassins Creed series. Officially licensed. This wristband is ideal for fans of the Assassin's Creed series. 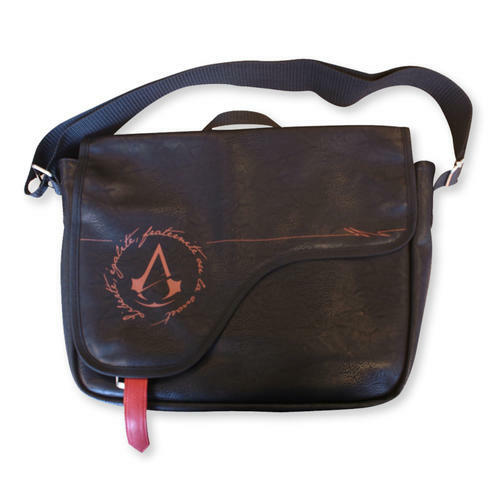 Featuring a 2 size adjustable strap designed to be in style with the video games it also features the iconic logo design. Officially licensed. 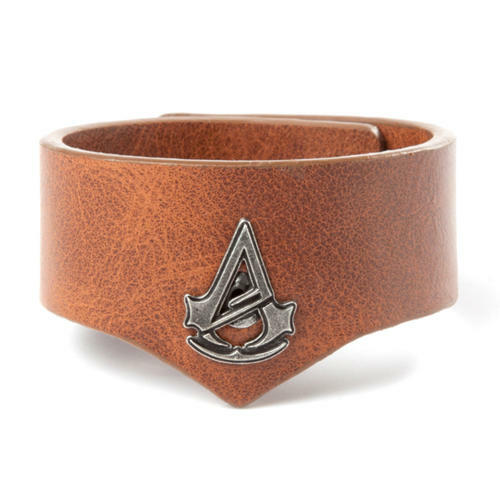 Wristband featuring a logo design from the ever popular Assassins Creed video game series. Officially licensed. This wristband is ideal for fans of the Assassin's Creed series. 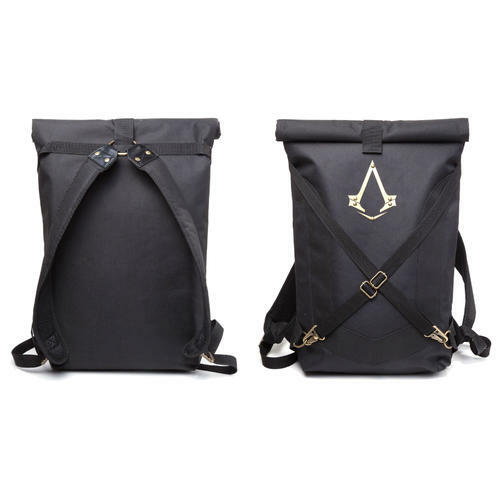 Featuring an adjustable strap designed to be in style with the video games it also features the iconic logo design. Officially licensed. Wristband featuring an adjustable strap designed to be in style with the video games. 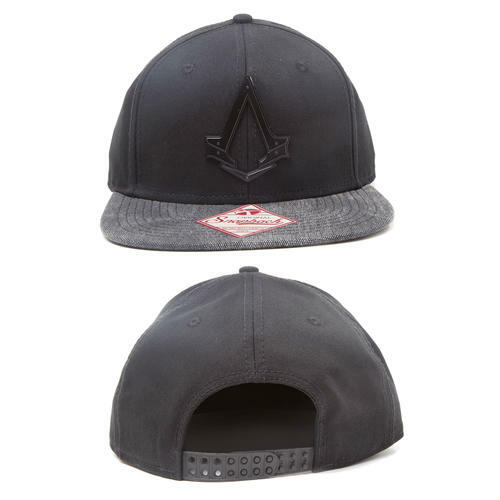 Also features the iconic logo design from the latest Assassins Creed Syndicate release. Officially licensed. 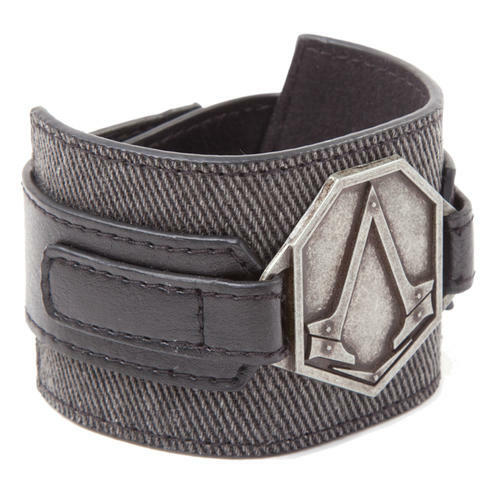 Based on the same design of Edward Kenway's throwing knives wristband. Features Black Flag skull design buttons. Officially licensed. 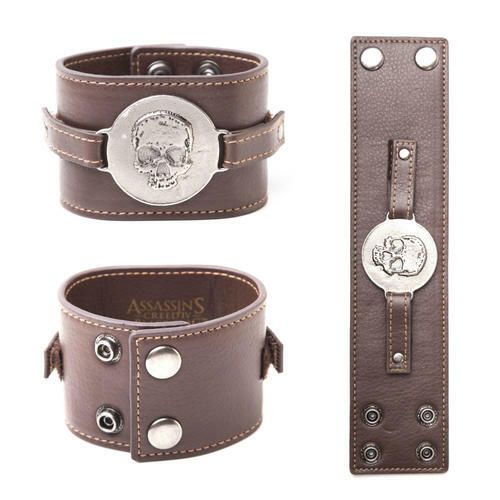 Assassin's Creed Black Flag wristband which features the classic logo and a Black Flag skull design zipper. Ideal for those wanting to look like their hero from the best-selling video game. Officially licensed. 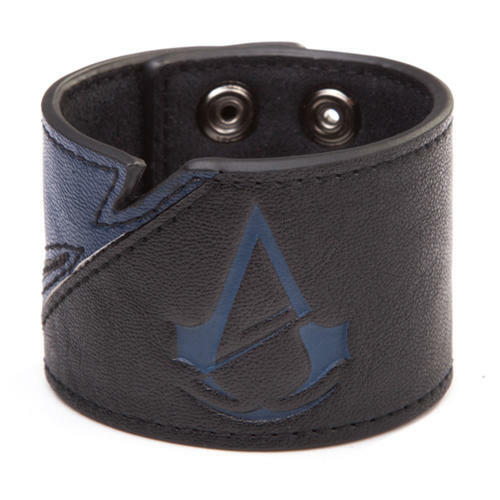 Military Cuff Wristband based on the design from the Assassins Creed Unity video game release. Officially licensed. 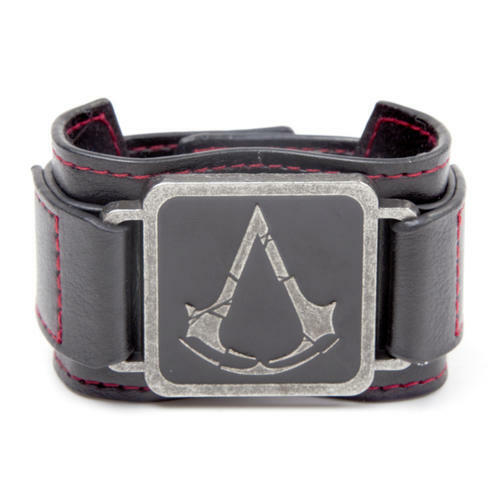 Wristband featuring a reversible pendant from the ever popular Assassin's Creed series. Ideal for fans. Officially licensed. 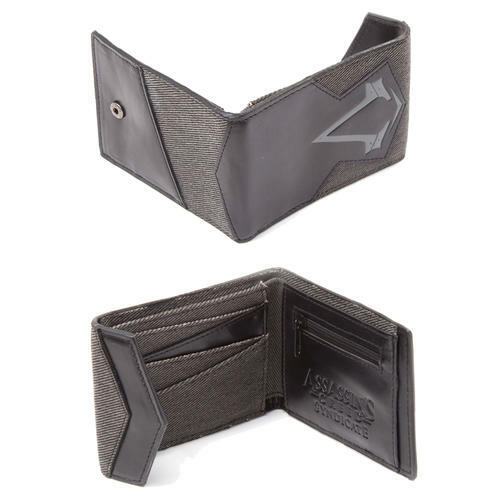 Wallet featuring a design based on the iconic logo from the series. 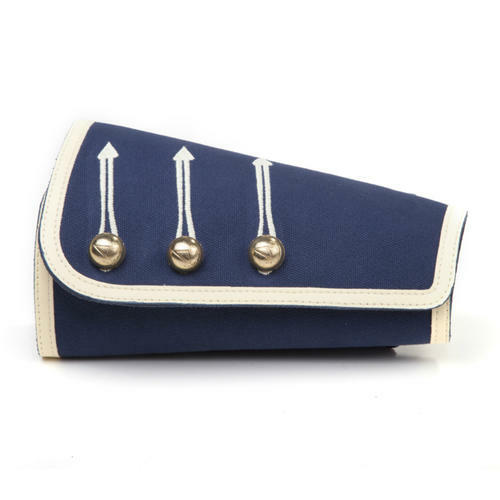 Inside features include note and card slots along with a coin pocket. Made using high quality materials. Officially licensed. 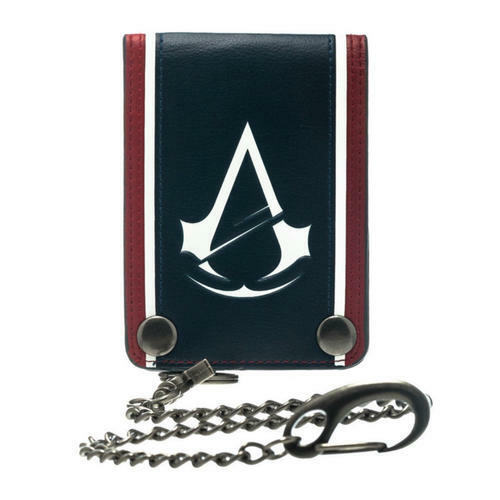 Bifold wallet featuring an Assassins Creed Unity logo design. Inside are note and card slots. Officially licensed. 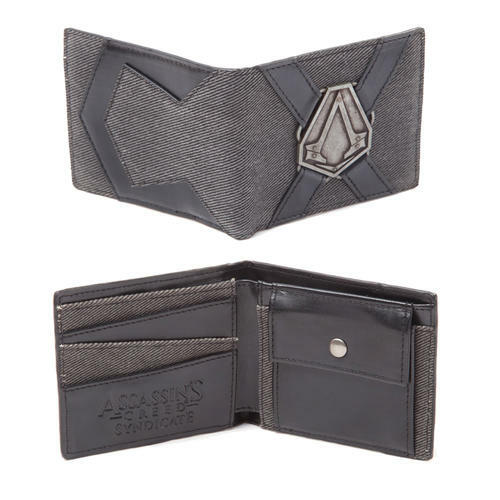 Bifold Wallet featuring an Assassins Creed Unity logo and internal print design. 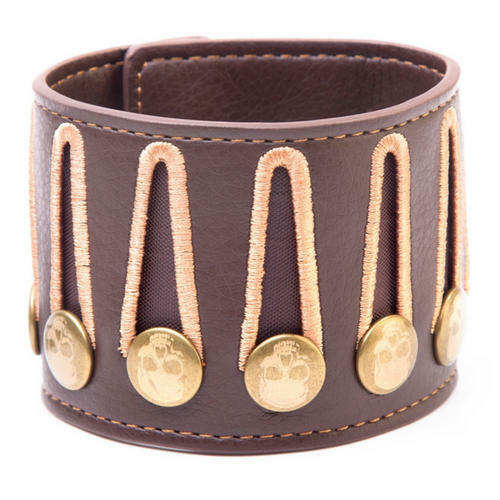 Also features chain to attach to bags, belts and other items. Officially licensed. 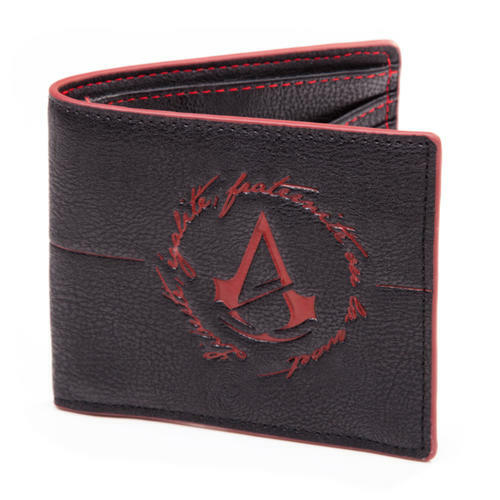 Wallet featuring an Assassin's Creed logo design with an embossed map background. Inside are note and card slots and coin pocket. Officially licensed. 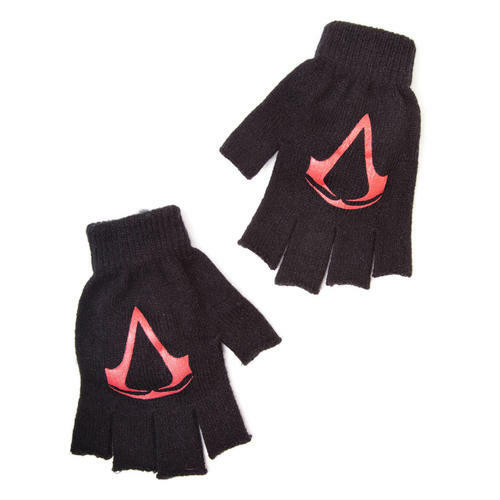 Soft and comfortable Assassins Creed Fingerless Gloves which feature high quality embroidered logos on each hand. Officially licensed. 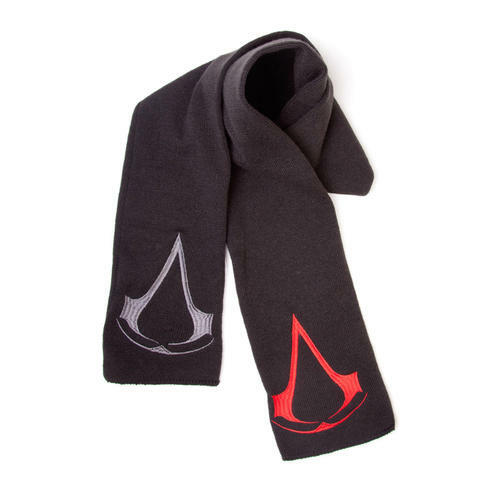 Soft and comfortable Assassins Creed Scarf which features high quality embroidered logos on each end. Officially licensed. Beanie with a design based on the logo from the latest video game. 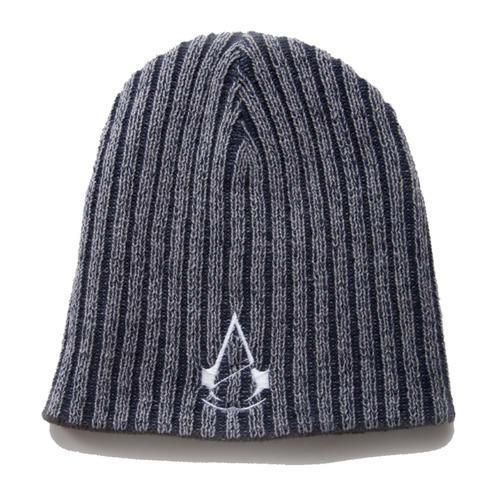 The beanie is made using high quality fabrics and is the ideal head-warmer for Assassins Creed fans. Officially licensed. 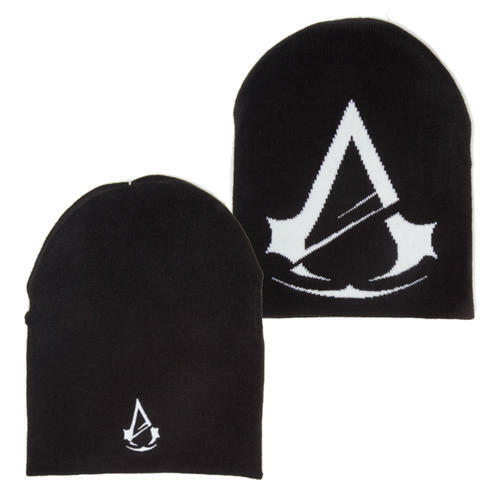 Soft and comfortable reversible beanie featuring 2 designs from the popular Assassins Creed series. Officially licensed. 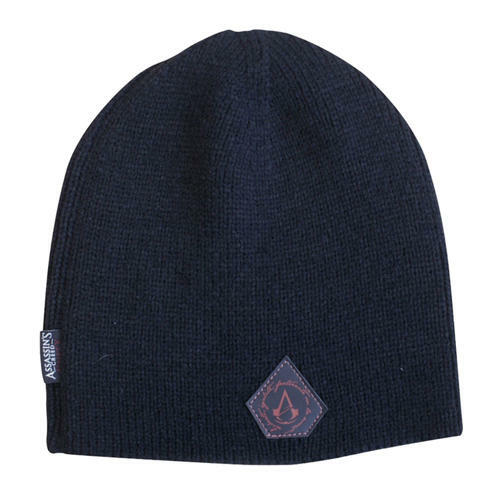 Soft and comfortable reversible beanie featuring 2 logo designs from the popular Assassins Creed series. Officially licensed. 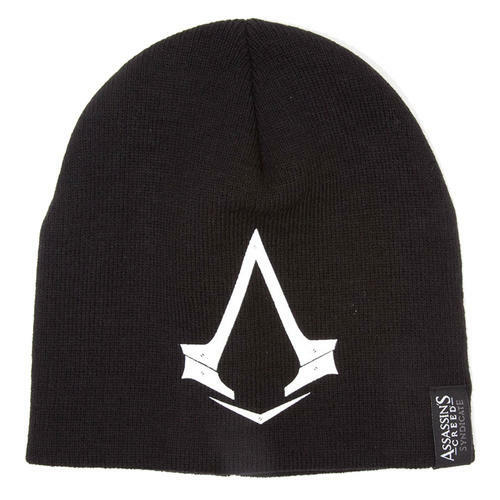 Soft and comfortable beanie featuring the classic Assassins Creed logo. Made using high quality fabrics. Officially licensed. 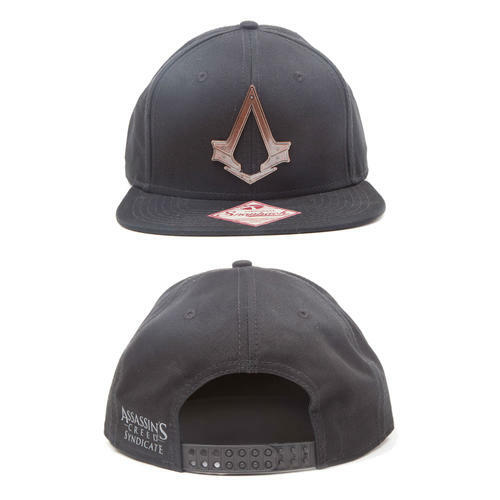 Snapback Cap featuring an Assassins Creed logo badge design, adjustable fastener and is made using high grade fabrics meaning it is comfortable as well as cool. Officially licensed. 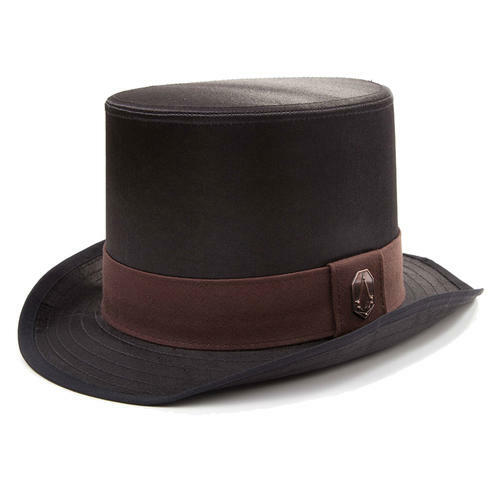 Top Hat featuring an Assassins Creed logo badge design with logo themed inner lining. Perfect for dress up events and made using high quality materials. Officially licensed. 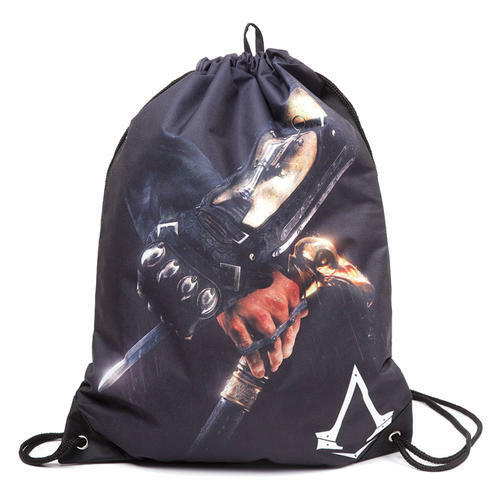 Assassins Creed Syndicate Gym Bag featuring a logo and game with drawstring straps and a hanging hook. Made using high quality materials. Officially licensed. 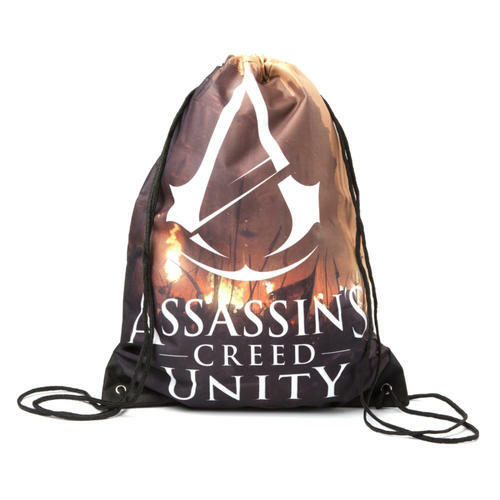 Gym Bag featuring a design based on the Assassins Creed Unity video game. Features drawstring straps and hanging hook. Officially licensed. 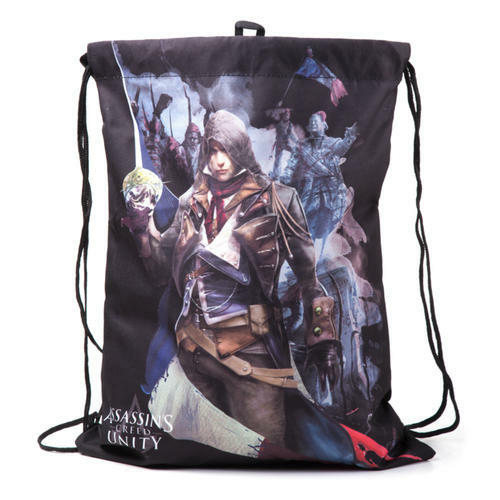 Gym Bag featuring an Arno design from the Assassins Creed Unity video game release. Features drawstring straps and hanging hook. Officially licensed. 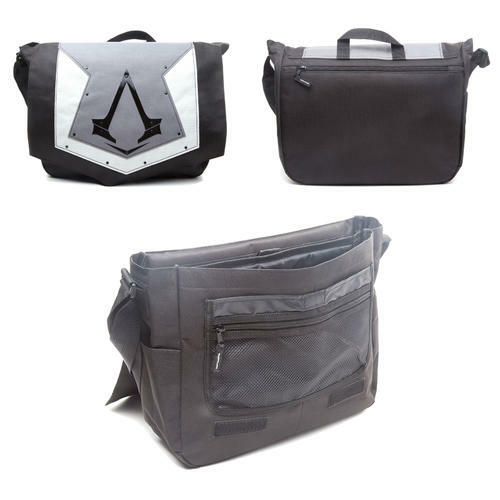 Messenger Bag featuring a cool logo design. The bag features a large main storage compartment, adjustable shoulder strap, hanging hook and internal storage compartments. Officially licensed. Backpack featuring a logo metal badge design. Features a large main compartment, padded adjustable shoulder straps, roll top closure, clip fasteners and internal storage compartments. Officially licensed. 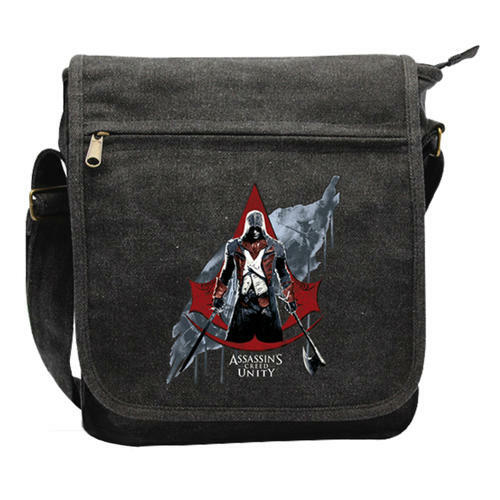 Bag featuring a high quality Assassins Creed Unity and logo design. Includes front zip up compartment and adjustable strap. Officially licensed. 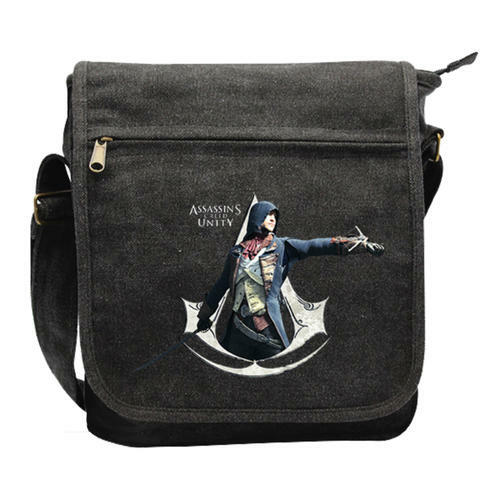 Messenger Bag featuring a high quality design and print of Assassins Creed with Crest motif. Officially licensed. 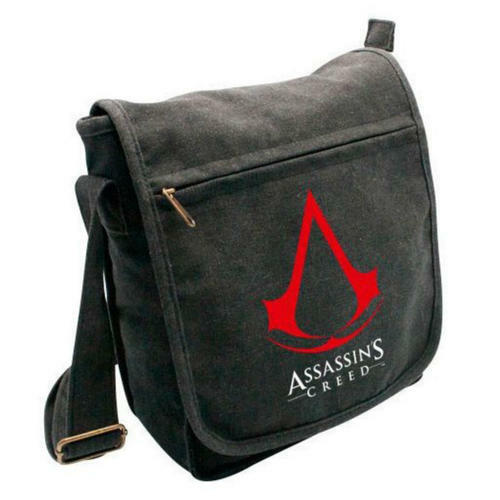 Messenger Bag featuring an Assassins Creed logo design. 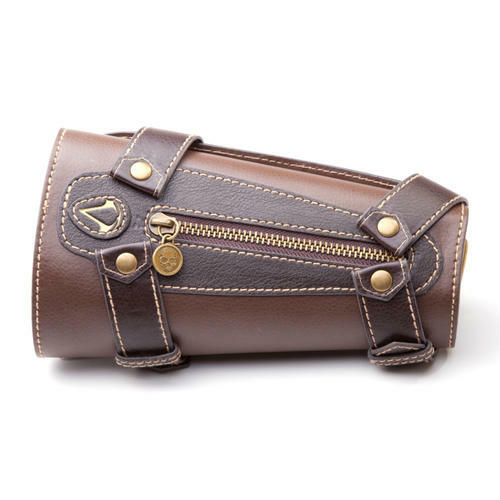 Features a handle strap and adjustable shoulder strap. Officially licensed. 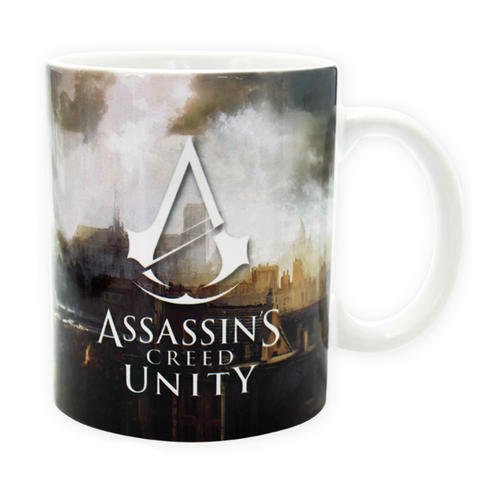 Ceramic 320ml standard sized mug featuring a design based on the Assassins Creed Unity release. Dishwasher safe. Officially licensed. 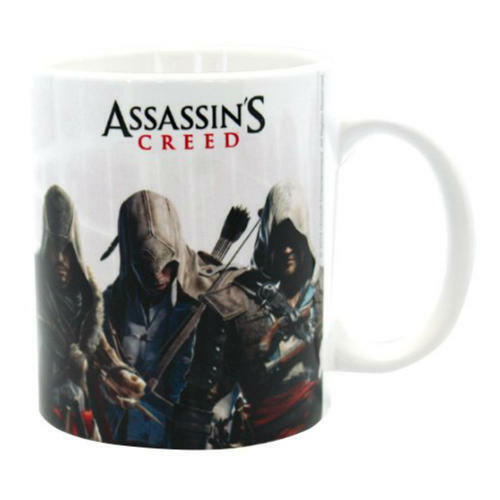 Collectable ceramic mug featuring all of the heroes from the popular Assassin's Creed video game series. Officially licensed. 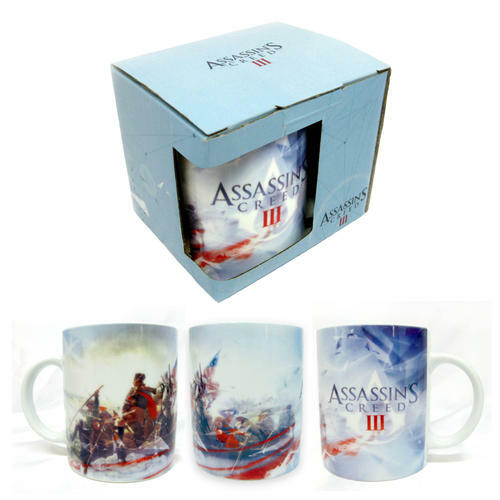 Collectable ceramic mug featuring Assassin's Creed 3 artwork design from the hugely popular videogame series. Officially licensed. 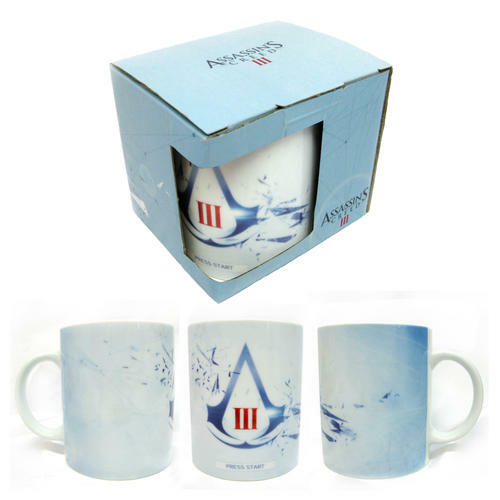 Collectable ceramic mug featuring Assassin's Creed 3 logo design from the hugely popular videogame series. Officially licensed.